Cathedral School is on a mission to improve science education. As one of six University of Mississippi Medical Center (UMMC) Rural Biomedical Initiative schools statewide, Cathedral offers an advanced biomedical research class to its seniors. 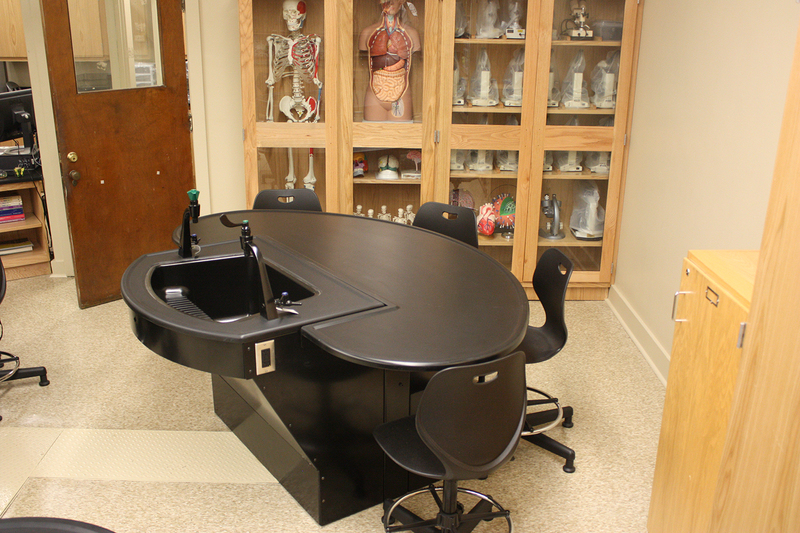 The school also offers human anatomy and physiology courses in conjunction with nearby Copiah Lincoln Community College that allow Cathedral students to earn college credits while still in high school. 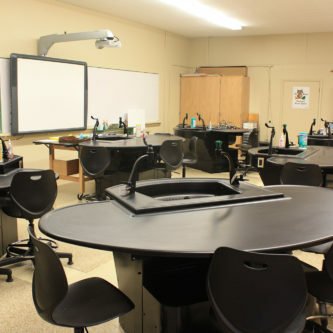 But as Cathedral’s science curriculum and its students’ enthusiasm for that curriculum grew, deficiencies in the school’s science facilities became glaringly apparent. When Cathedral launched an ambitious capital campaign in 2012, completely renovated chemistry and biology labs were at the top of the wish list. The chemistry lab had not been renovated since the school was built in the 1950s. Originally constructed as a library, the biology lab lacked access to electricity or gas at the lab tables and had only one outdated sink in the prep area. As the chemistry lab lacked a fume hood and neither lab had safety showers or eyewash stations, safety was also a concern. 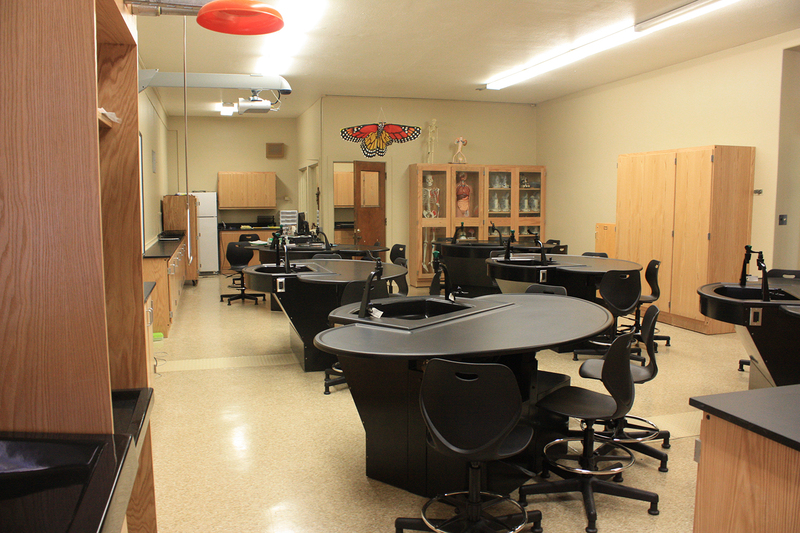 Under Sheldon’s guidance, the existing classrooms were stripped to the walls; even the flooring was removed and replaced with trenched floors to provide new electrical, water, and gas connections to the lab tables. 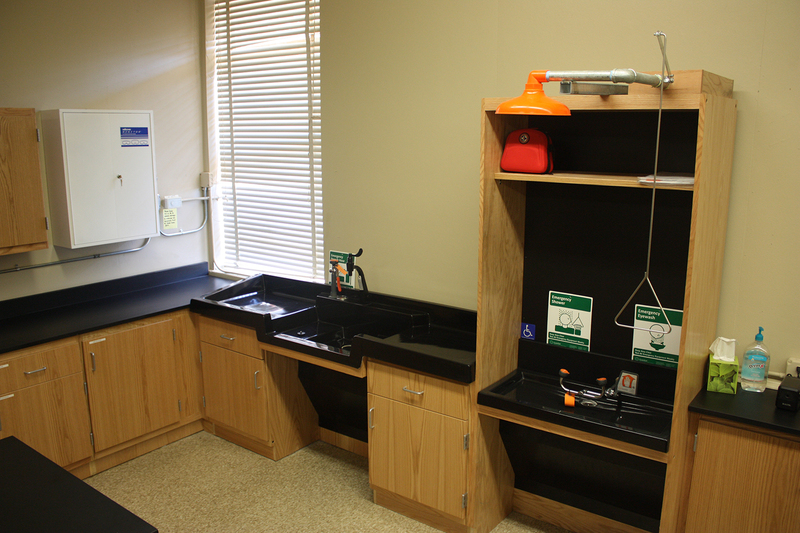 Sheldon then outfitted the labs with modern equipment designed to meet the demands of Cathedral’s advanced curriculum. 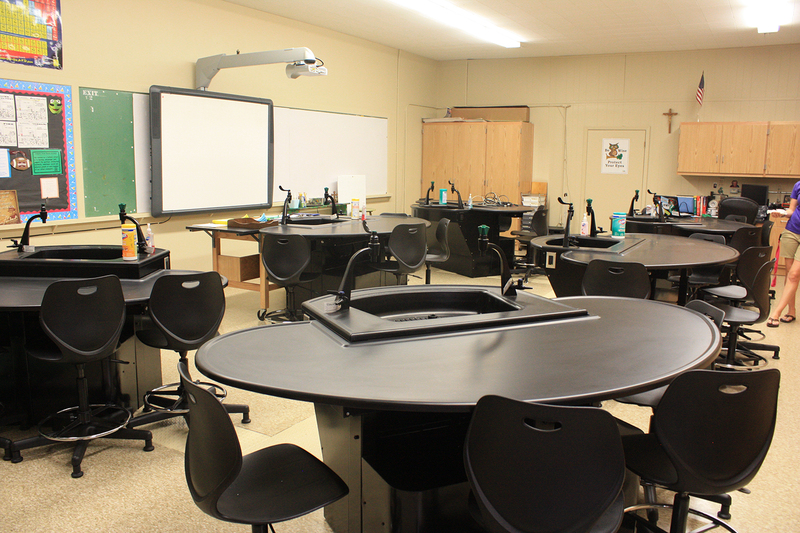 While Thibodeaux says “we love everything about the new labs,” Cathedral students have been most impressed by Sheldon’s signature Axis tables, which can change height with the touch of a remote, allowing students to stand while using microscopes, then be seated for lectures. Students also enjoy using the UV goggle sanitizing cabinet, which eliminates the need to clean goggles with alcohol wipes after each use. 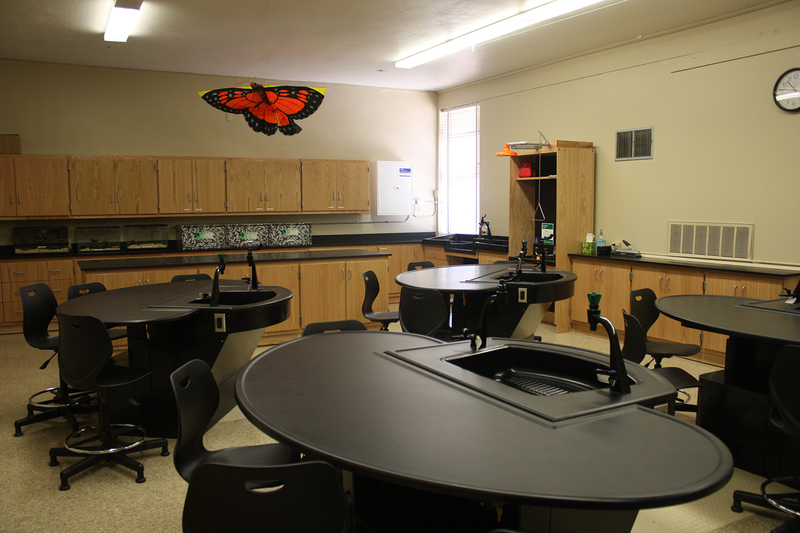 And while the science teachers are impressed by the organized storage created by Sheldon’s cabinetry, the students are even more impressed that the new cabinets include custom habitats for the class pets, including Gatsby, the African pygmy hedgehog; Delilah, a 38-inch corn snake; a rose-haired tarantula, and a family of Madagascar hissing cockroaches. 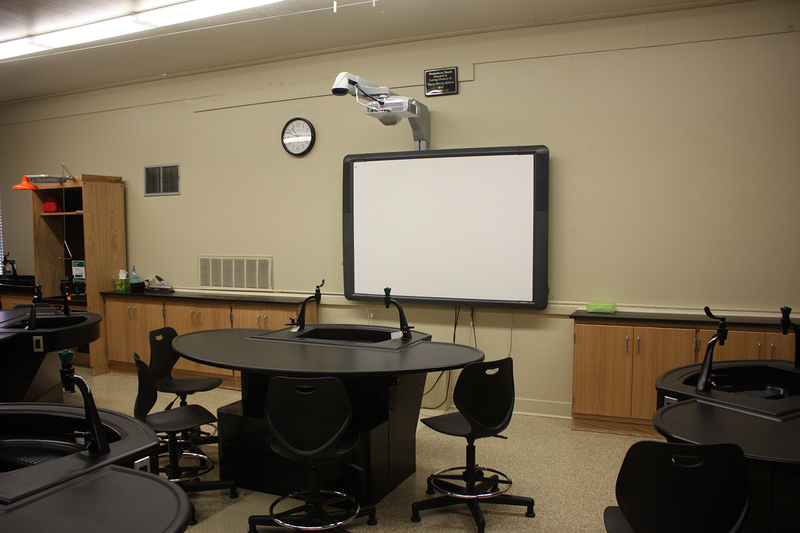 The renovated labs have dramatically enhanced the teaching and learning experience at Cathedral School. 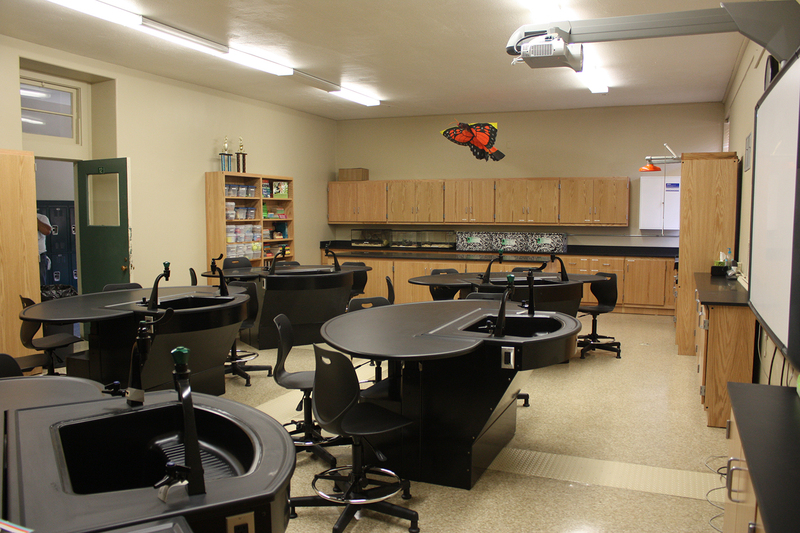 Students are able to perform more advanced labs and more creative experiments than the original facility allowed. A project island provides space for in-depth, long-term research projects that were never before possible. Cathedral students previously participated in a remote research project with the Woods Hole Marine Laboratory, but they had to travel to another school in order to conduct their experiments. 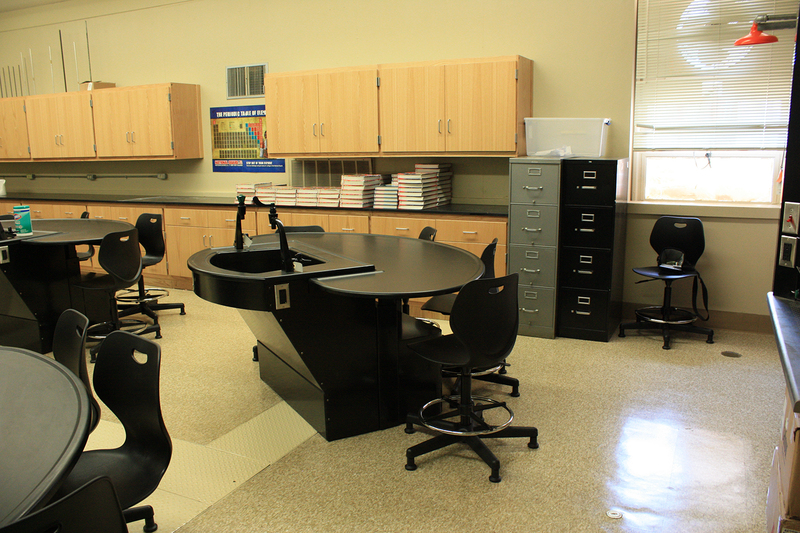 Thanks to the new lab furniture and equipment, they can now conduct these experiments in their own high school. “It is very exciting for high school students to have facilities that allow them to participate in such advanced, significant real-world science research,” Thibodaux says. 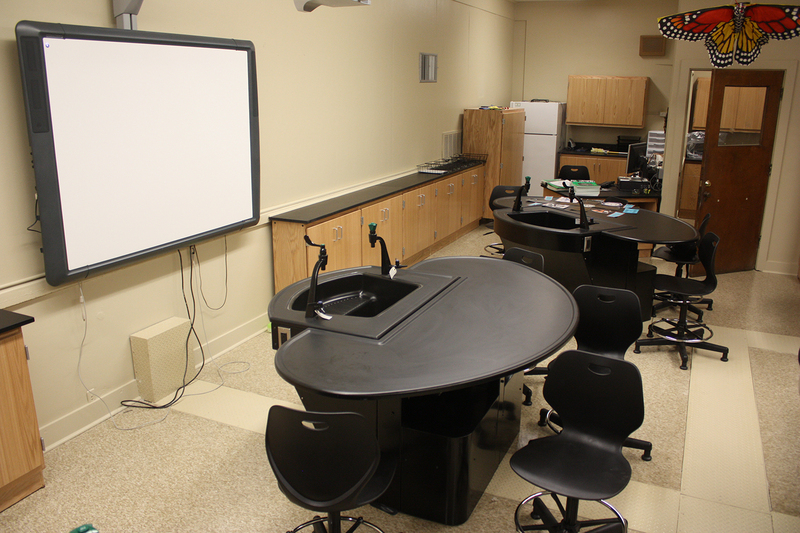 “The difference between our old classroom furniture and equipment and our new labs is the difference between night and day. We’ve moved from out-of-date, awkward lab furniture to high-tech furniture that allows us to meet the needs of an advanced science curriculum.